Another craft that we did on our latest cruise! 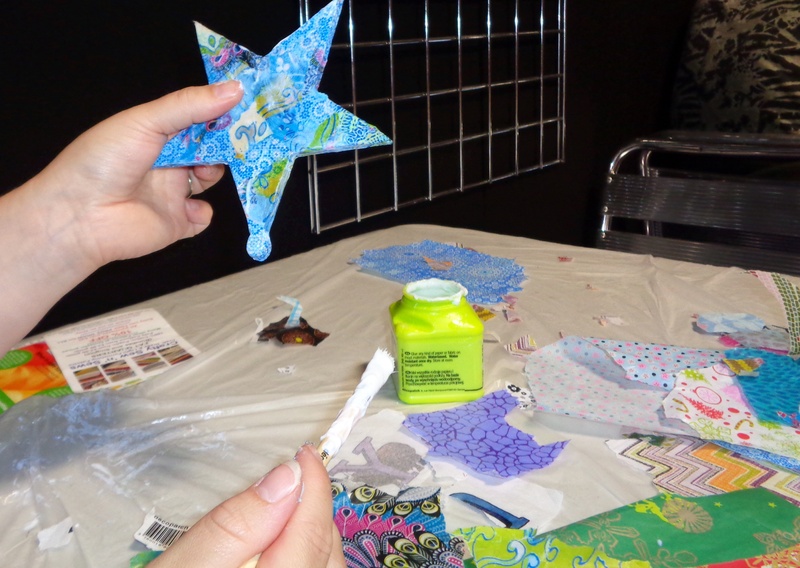 Decoupage is always a popular and a well attended craft class. I’ve come to the conclusion that we all enjoy messing about with glue, paper and being creative. We had some lovely and colourful boxes and hearts on display at our final exhibition. Above is just a sample! There is always a discussion about decoupage versus decoupatch. An explanation follows. Decoupage requires gluing the paper in place followed by varnishing. In order to achieve a smooth finish, many layers of varnish are required and the object would need to be sanded between coats. (The term decoupage is also used for the technique often seen on handmade card where stiff cut-outs are layered to give a 3-D effect.) Decopatch is the modern version of decoupage. (Strictly speaking, Decopatch is the trade name of the French company that makes the special papers, glue etc, but it has rapidly become a generic term.) Decopatch paper selectionDecopatch papers are thinner, so it doesn’t require layers of varnish to give a smooth finish. The combined glue and varnish also makes the whole process much easier. The decopatch glue-varnish and aquapro varnishes are water based so you won’t be inhaling solvents as you work. I have just one more cruise craft to show you from my recent working vacation, so watch this space! The recent cruise to Canada was a great success. The one project that I haven’t shown you was Decoupage, which is always popular. It’s the sort of decoupage where you glue torn pieces of pretty paper to a wooden form or box and then varnish it. I think that we all love messing about with glue and creativity. The photo frames were decoupaged using the ships Daily Times, and cutting outsignificant locations. The end result was a great souvenir to take home. Perhaps next time I will tell you something of the actual cruise! And I Thought that No-one Would Come! We continue to cruise North along the gorgeous coast of Norway on Fred Olsen’s ship MS Balmoral. We glide along past the colourless but awesome scenery. Colourless because the coast and mountains are shrouded in mist and mystery, but with glimpses of coastal villages and amazingly long road bridges. The classes on the ship are really well attended, with over thirty ladies ( and a couple of random husbands) attending each session. Today we were doing ” decoupage” which proved incredibly popular.This is good as I don’t now have to carry home lots of wooden boxes. We are using a wide choice of papers including old maps and a vintage Whinnie the Pooh book. The glue used is a glossy glue which means that you don’t need to varnish the end product. It’s a great thrill to see the variety of creations that emerge from the same raw materials. We have bonded as a craft group as we share, help each other and chat. And to think that I thought no-one would come! That’s it! Two suitcases packed full to bursting and ready to go. Tomorrow I’m off to meet a cruise ship in Southampton and sail to Norway. It’s not all holiday as I will be working my passage teaching crafts on board. One of the cases is full of the handcrafts that we will be using on board. 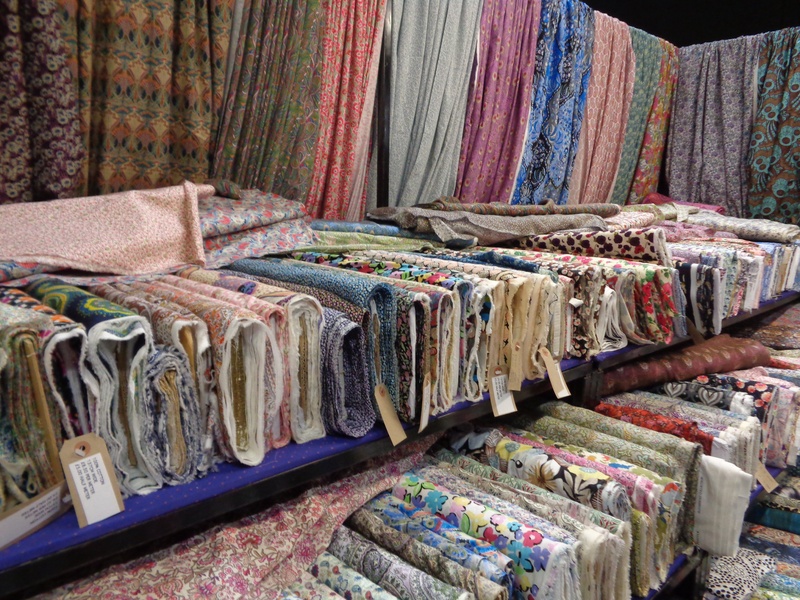 We have Liberty fabrics, up cycling and re purposing crafts. We have some gorgeous truly vintage fabrics to upcycle. I am on a steep learning curve and one thing I’ve just learned is not to choose crafts that take up a lot of space. K my crafty friend who is helping out, also has bags of stuff we can’t manage without! We should have enough free time to explore a little of Norway and if we’re really lucky we will see the Northern Lights. I’m not sure of Internet access but I’ll try to blog in various venues. I’m actually trying to change the way that I take photos. Really I want to move from an old fashioned camera to my phone. The cameras on phones are so good these days but I have to work out how to transfer images from phone to iPad. I’m sure it’s easy but…….. I will take lots of pictures and report back as soon as I can-promise! Finally! Last project for my forthcoming craft cruise. This project is decoupage. I’ve got lots of wooden boxes, shiny glue and various papers. I have used a Winny The Pooh book that I picked up in a charity shop last year for the demo project. The result is really attractive. I lined the inside of the box with a contrasting paper and have sealed it with three layers of shiny glue. Had I had more time I would have done more coats as this then gives you the ability to finely sand the surface producing a better result. A lesson learned from this cruise is to choose smaller projects next time! I have packed the craft case but there is a considerable overflow. At least we are not flying so we can have the remainder in our hand luggage. On our trip last week to Bonnie Scotland we say many derelict castles. 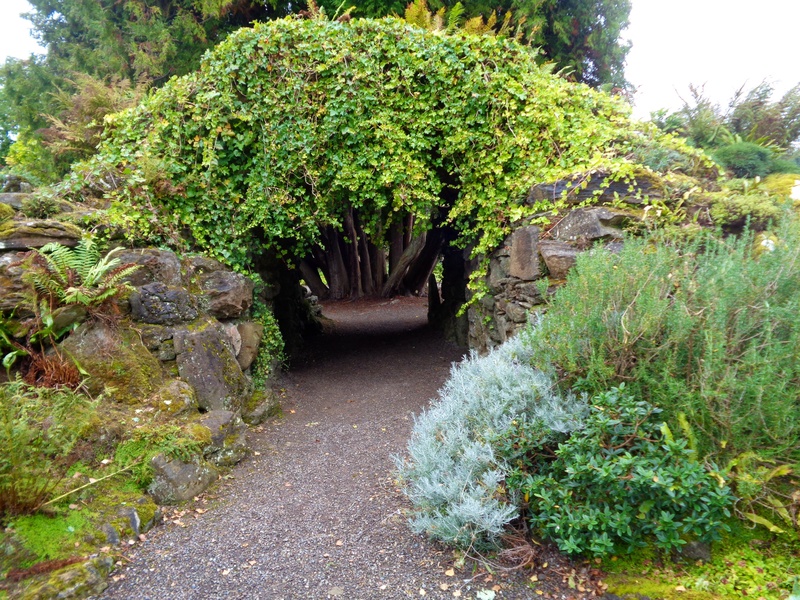 We visited Culzean castle, situated on a promontory along the Ayrshire coast. 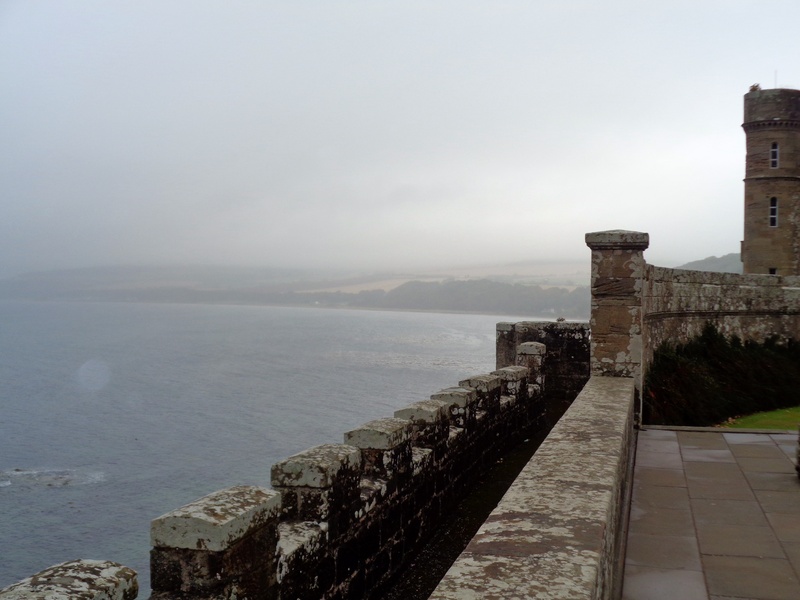 I am sure that the scenic coastline is stunning but we couldn’t see much due to the mist rolling in. We passed Kennedy castle which is a grand pile of stones. 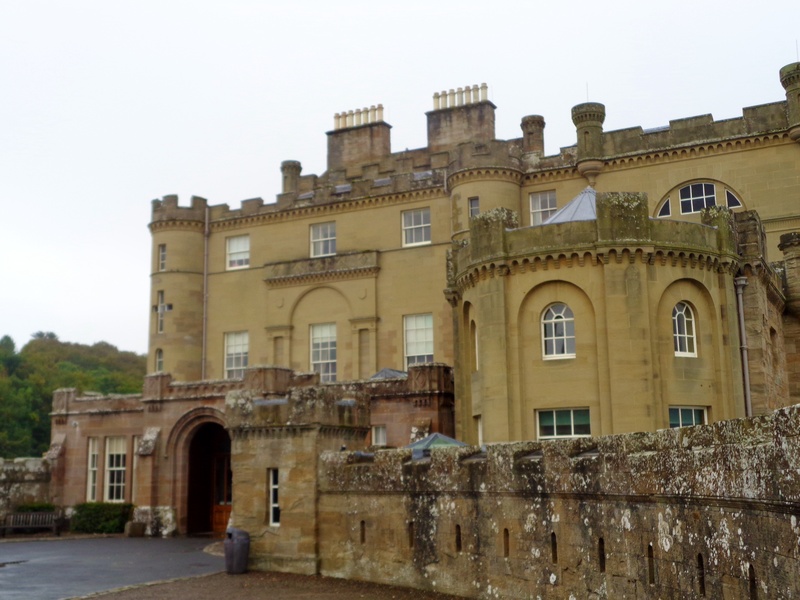 I was particularly interested to visit Culzean castle as it was the stronghold of the Kennedy clan. My maiden name was Kennedy so I spent a long time daydreaming that they would discover that I was the long lost Kennedy relative set to inherit this beautiful castle. Sadly it was not to be! I did have a lovely day though. I mentioned comics. We also visited Wigtown, awarded “Scotland’s book town” title. I must say that I was disappointed as I expected it to be like Hay on Wye, not nearly so good! 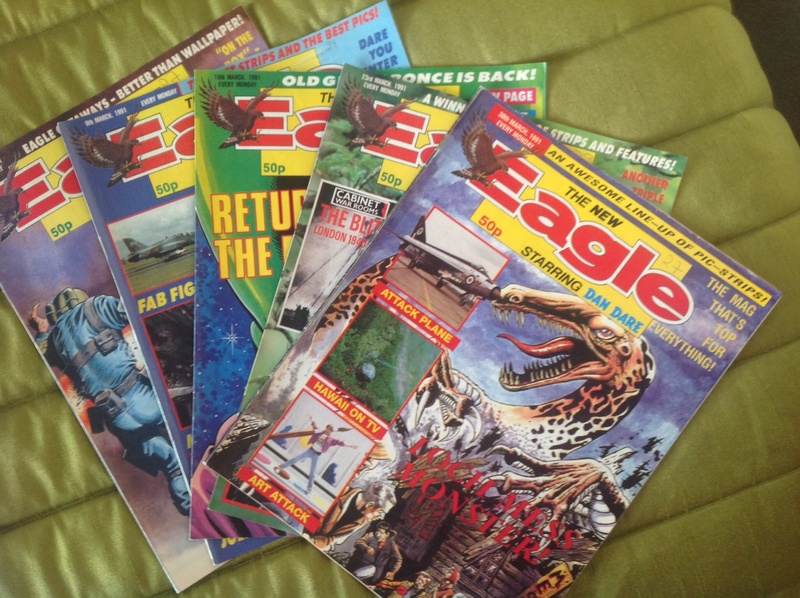 However, I did find a pack of six Eagle comics from 1991. My daughter wants to cover a table with decoupage using Super Heroes comic strips. I’m not sure that I bought the right Super Heroes but it was good fun reading the comics. Flash back blues to when my sons were young and into Super Heroes. 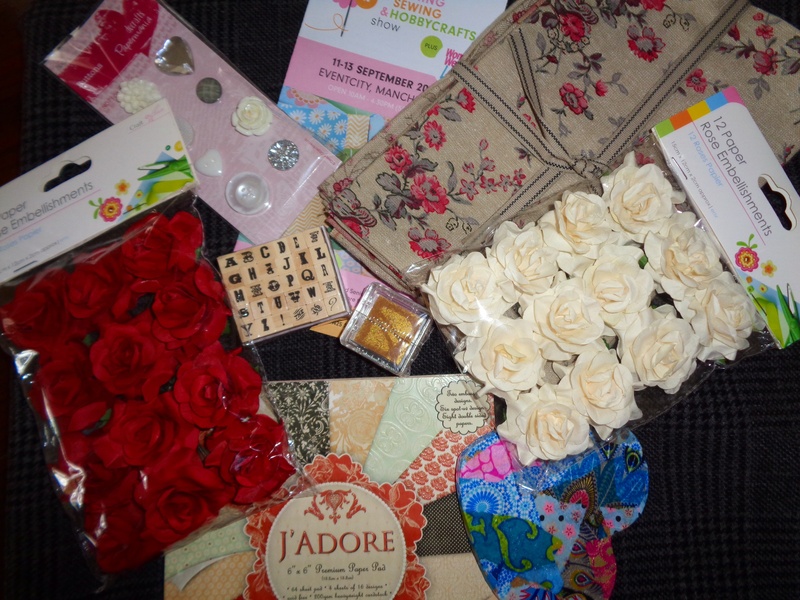 Yesterday I had a great day out at The Stitching, Sewing and Hobbycrafts show in Manchester. The venue is great for me and my daughter kept me company. We tried Decoupage,watched a fashion show and learned about the art of Zentangle. I enjoyed every stall and could have bought lots of stuff. I did buy one or two ( ok more!) new projects. 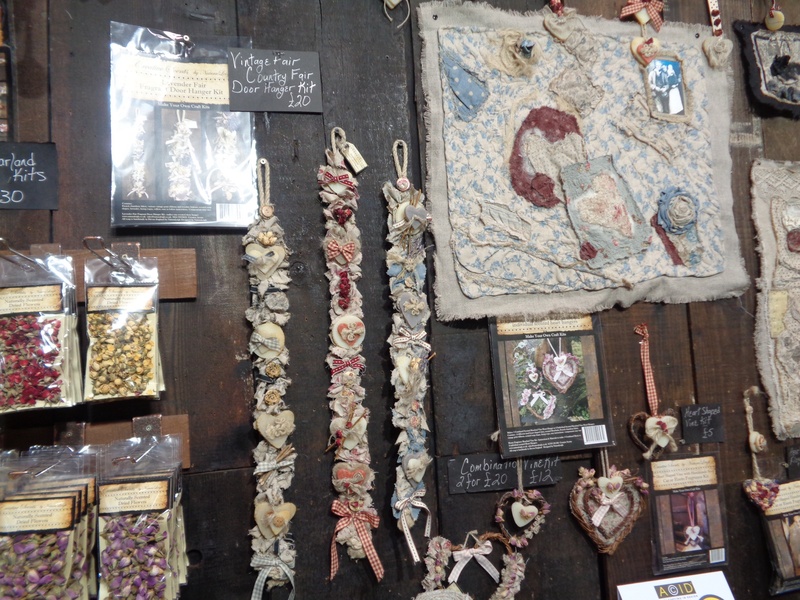 I found a lovely stall selling French style Shabby chic textiles. See http://www.naturaleigh.co.uk Here I purchased some fat squares to make a secret Christmas present. 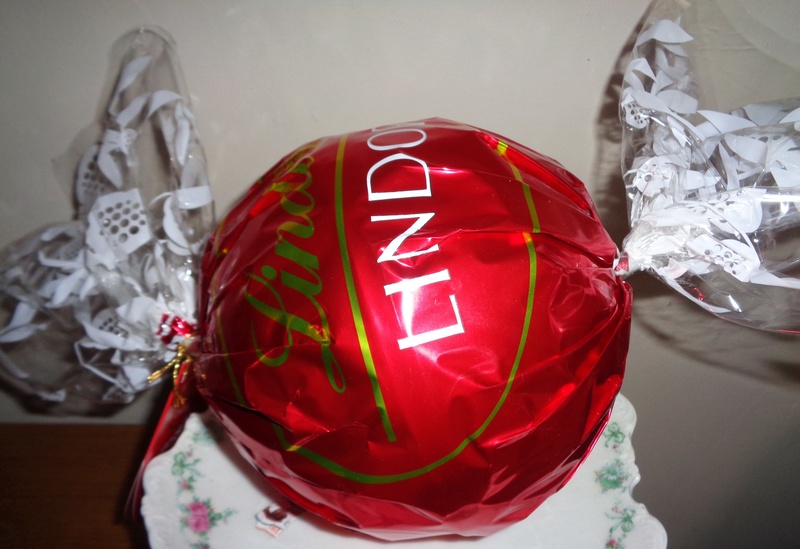 I bought a lucky dip gift bag, which amongst lots of other stuff, contained a HUGE Lindt chocolate treat. Diet? What diet? 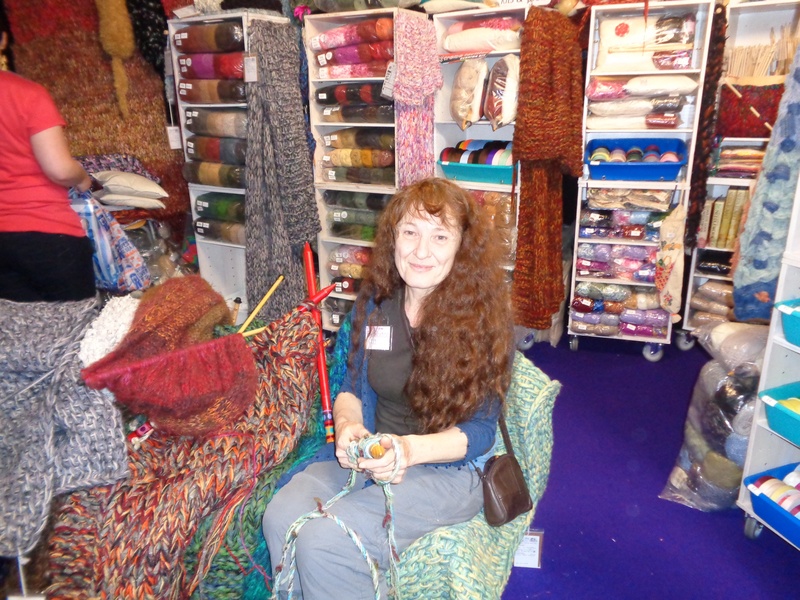 One of my favourite stalls was Rachel John-extreme textiles! who created using mega! massive knitting needles and very multiple ply wool. I also bought buttons, trimmings, craft magazines (note the plural!) rubber stamping stuff and quite a few cups of tea! We returned home poorer financially but happy and tired.